will change the way you photograph life. weight. Allowing you to have full mobility and makes your camera feel virtually weightless. fit for any body type. 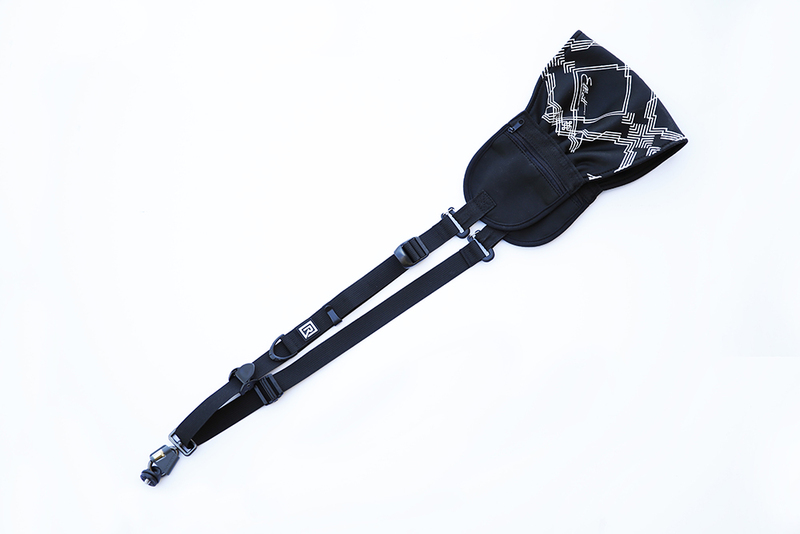 Shoulder Strap: expands from 20" around to 30" in length – perfect for any body type. Camera Sleeve: 8" long x 7.5" wide x 5" deep. 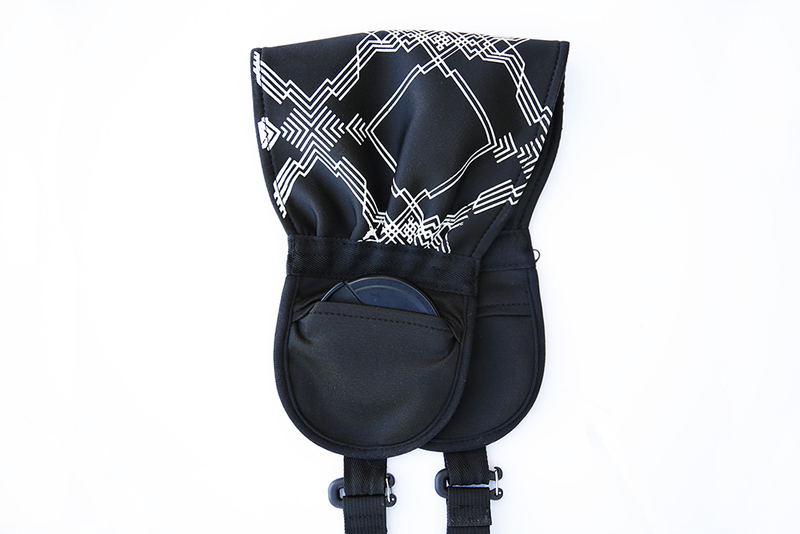 The camera sleeve will fit a wide range of DSLR cameras with lenses. Fits large full frame cameras comfortably, fits smaller DSLR's a little more loosely. 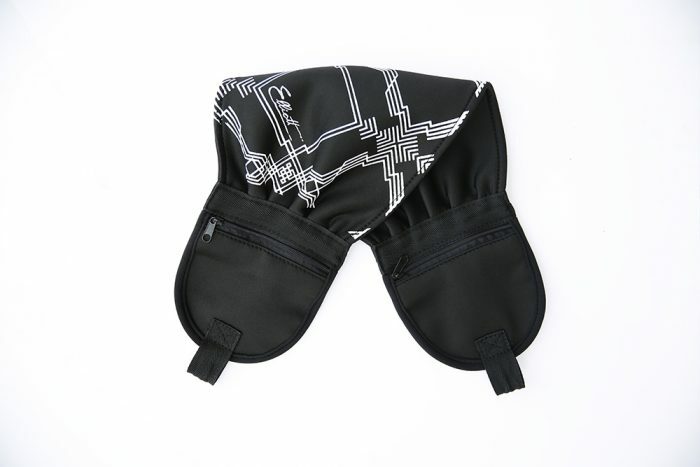 Accessories Pouch: 8.5" long x 4.5" wide x 2.5" deep. I can wear this strap all day on my shoots and not feel the weight of my camera on my neck and shoulder. And THANK YOU for making a place for me to put my lens caps – no more lost caps for me! 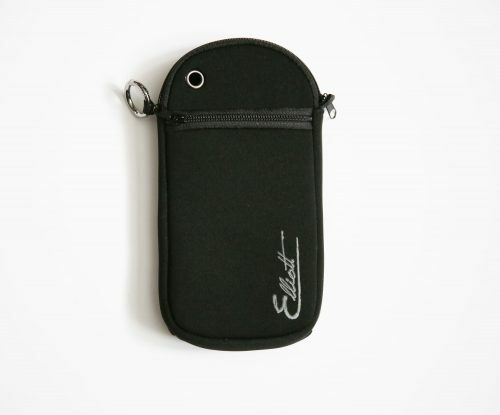 Also, the accessories pouch! Seriously! I always found it annoying to put my keys and my cell phone in my back pocket – now I have a place for them that’s out of the way and accessible, and I put some money and a water bottle in there too usually. The camera sleeve is nice too – now I can throw my camera in my purse and not have to worry about it getting damaged. 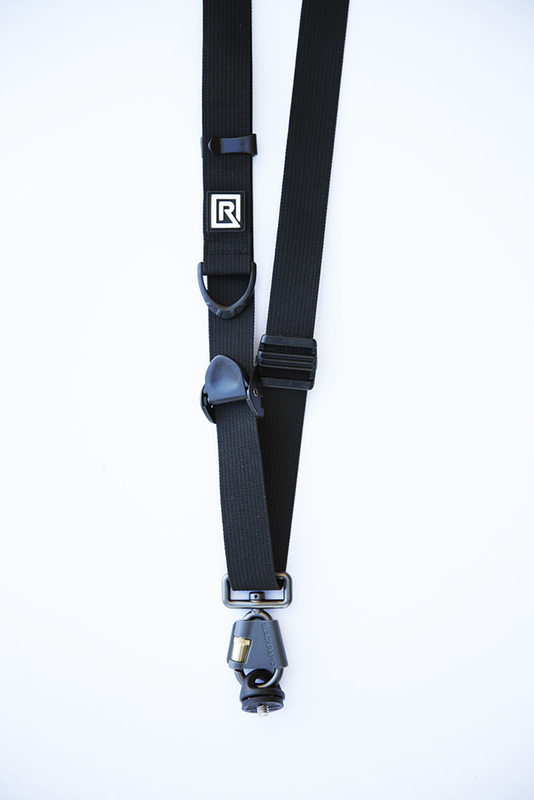 Love this strap – it’s everything I need all in one! Love this strap and everything about it!! I can wear it with ease, and don’t get the undesirable neck aches like other straps I’ve tried. The camera slides up while still attached so nicely as well. BUT, I love the camera sleeve just as much as I love the strap!! 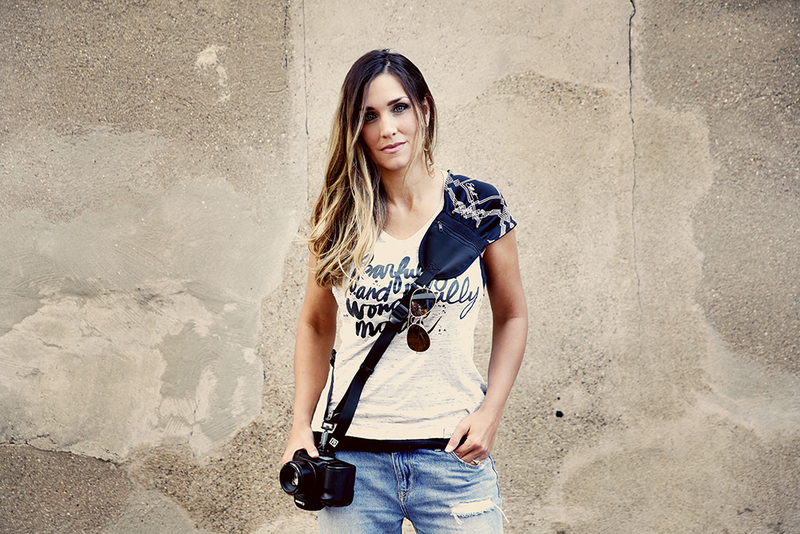 As a photographer and busy mom of 4, I’m always wanting to bring my camera along, and hesitant to do so at times because I don’t like it banging around. This camera sleeve is a lifesaver, and I never have to leave my camera home again!! Thank you! I love it!! 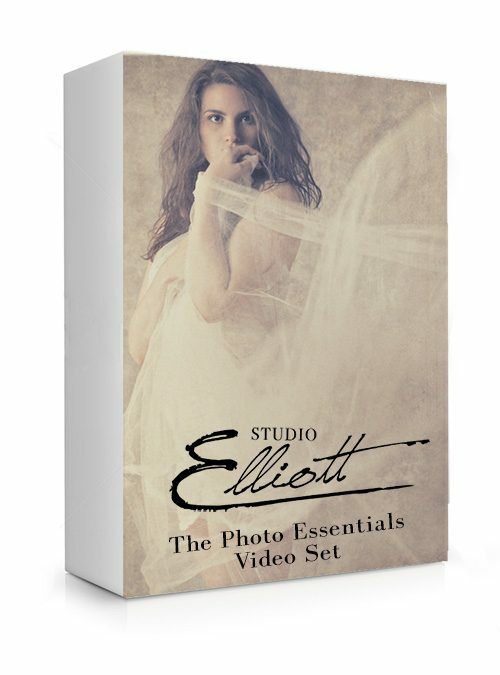 While using the Elliott Essentials Camera Strap my camera feels weightless…..I can barely tell I still have it on. The strap system is functional with attachments for each piece you need or want to stow away while having it readily available and stylish with it’s fun pattern. I do birth photography and the last thing I want is for it to seem like I’m moving in with all my stuff when I’m in such a personal space with clients. The system allows me to bring exactly what I need to be in the moment for them and not be a distraction. I’m a photographer for the military in my full time job and love that I can flip to the plain black side to be in regulation with military standards and then when I’m out of uniform I can flip it to the fun pattern! 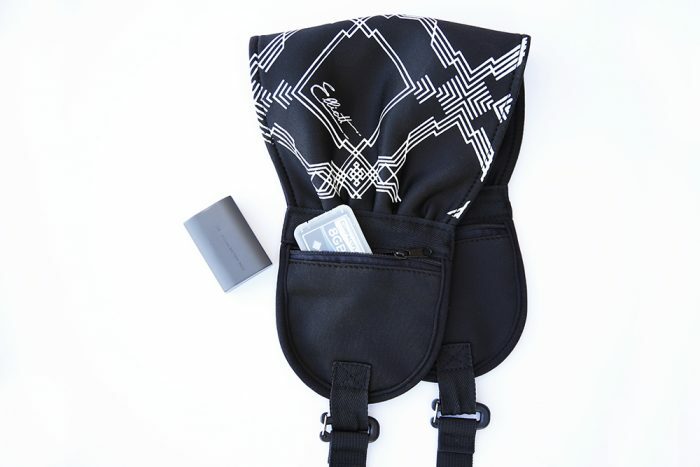 The sleeve is amazing to keep your camera safe while you’re on the go. 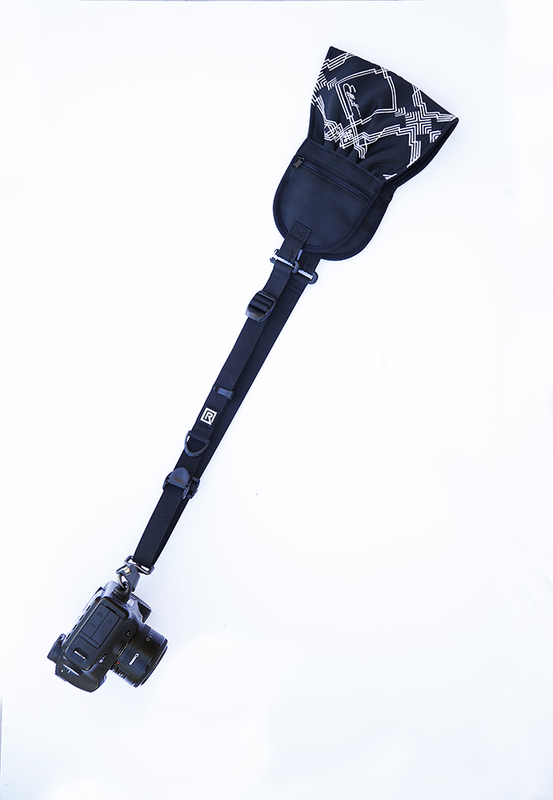 The system is a MUST HAVE for any photographer who wants and needs fashion and function in their life! I just have to tell you I am in LOVE with this new strap! I bought it because it was cute more than anything. It came in the mail just in time for a family session and I never knew a strap could be comfortable! My camera didn’t feel like it was in the way while getting kids settled and my neck and shoulders weren’t sore after the session. My hubby is a chiropractor and loves the fact that its ergonomically correct. 😉 Where has this strap been all my life! Great job!